While grocery delivery services have been around for some time, I had never given it a shot and placed an order myself. This was until two weeks ago when I visited a friend who introduced me to the concept and made me realize how much easier everything is when I can have all my groceries delivered right to my door. I had been visiting my friend to cook some meals for a dinner party, and when we finally decided on a few recipes, he simply placed an order on his phone for all the ingredients. I was a bit skeptical at first, as my instinct was to head out to make a quick grocery run. Instead, we ended up listening to music and catching up, and in just over an hour, all our groceries were right at our door! 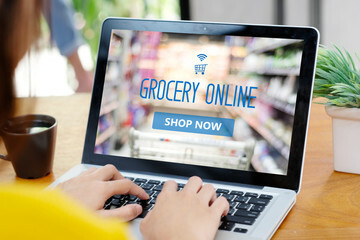 I was amazed at how easy and quick it was to order groceries, so I asked my friend what apps he used or recommended for ordering groceries. He ended up sending me a link to a list of the best online grocery shopping apps. Here are the top 10 grocery shopping apps. It turns out there are quite a few options and each one has unique advantages over the other, so it comes down to your needs and preferences. I tested the apps that caught my attention and selected my top 3 favorites. Here are my thoughts on each one. One app I really liked is Shipt. I found this to be the best choice if you want to have your groceries delivered without paying a delivery fee. While small orders are tied to a delivery fee, it turns out that if you place an order over $35 you can forget about the delivery fee altogether. And, since most times I buy groceries I have a list of things I need to buy, I found it easy to program my orders so that I never had to pay a delivery fee. I also found the selection of items to be plentiful. Supposedly there are over 700,000 items to choose from, which is great if you are particular about finding a specific brand. I also liked how you can leave a note for the shopper so you can be sure that he finds the exact item you need. The only drawback I found is that you need to pay a subscription fee to enjoy Shipt’s services. However, considering how much time and gas you save by not driving down to the grocery store, I found the small fee to be more than worth it. They also offer a free 2-week trial for new members, so you can try it out beforehand to see if it is for you. Pros: Free delivery for orders over $35, selection of thousands of items, add notes to your order, free-trial. Overall: Browse thousands of items to find exactly what you need and get free delivery on orders over $35, although a subscription is required to enjoy the premium delivery services. 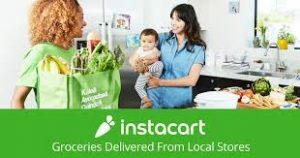 Another grocery delivery app I really liked is Instacart. One of the reasons I really liked it is because it truly provides a convenient way of placing grocery orders, whether you need an item from one store or multiple stores. I found it to be really easy to set up my order as you can talk to the shopper directly through the app. I also liked how you can change your order by adding some last-minute items even after you’ve placed it. Another feature I liked is that you can save your favorite items to a list, making it easier to pick and choose what you want to buy on your next order. Unlike Shipt, Instacart does charge a delivery service fee on orders. However, I found the price to be quite reasonable considering you don’t need to leave your home to get everything you need. And, it truly is a lifesaver when you have a lot of things to do during the day and simply have no time to buy your groceries. Pros: Order from multiple stores, talk to shopper directly, last-minute order changes accepted, favorites list. Cons: No option for waiving delivery fee. 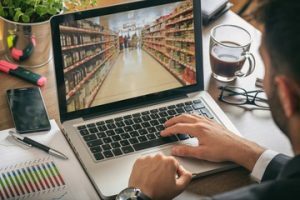 Overall: Talk to a shopper directly and place an order for items from all your favorite stores, although there is no option for waiving the delivery fee. Last but not least, my final pick is Publix Delivery. I shop at Publix frequently, so I figured I would check out what the supermarket chain store had to offer. I am happy to say that I was pleasantly surprised by how easy it is to purchase groceries through Publix Delivery. 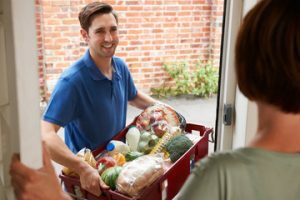 What I like about it is that not only can you have your groceries delivered to your door, but you can also schedule to pick them up on Publix’s curbside on the way home. The neat thing about it is that they sell a wide variety of items so that you can order anything from produce and meats to toilet paper, light bulbs, and television sets if you want to. I found the delivery service to be very efficient. I placed a grocery order before leaving work, and when I got home, I received everything I needed without any extra effort on my part. My only advice is to not place any orders too far in advance. 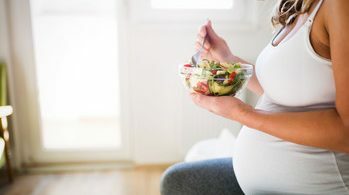 I didn’t find an option for scheduling delivery time, so if you order groceries too early in the day, they might be delivered before you are home to receive your order. Instead, I would recommend placing an order when you are planning on heading home soon, so they don’t beat you to your house! Pros: For Publix shoppers, grocery delivery, curbside pickup, a wide variety of items, fast delivery. Cons: No option for scheduling delivery time. Overall: Have your groceries delivered or pick them up at Publix’s curbside, although you won’t find an option for scheduling delivery time. So, these are my favorite grocery delivery apps. Now that I’ve spent some time with each of them, I must say that my favorite is Publix Delivery. The main reason is that I like having the option to order my groceries for delivery or to pick them up at the curbside on my way home. However, my other two picks were also great, and I do find myself using Instacart when I want to order a few items I don’t find at Publix. If you haven’t tried grocery delivery apps before, I recommend you do. You won’t regret it!